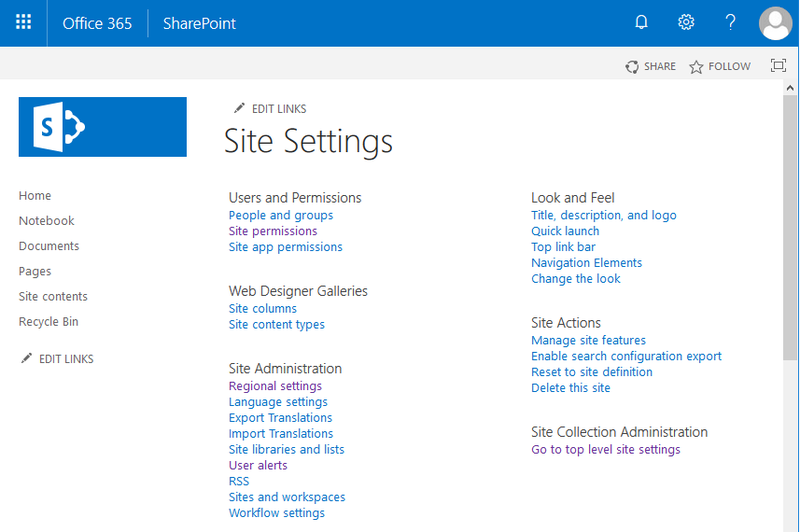 Home PowerShell SharePoint Online SharePoint Online: Save Site as Template Option Missing? 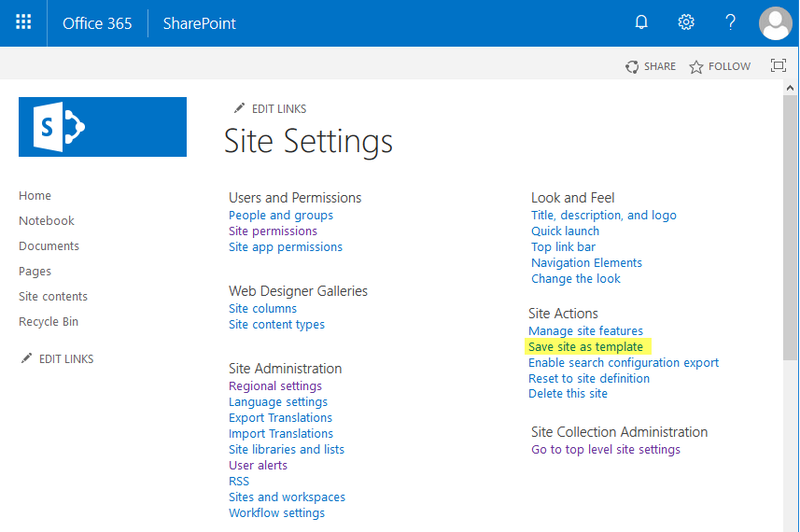 SharePoint Online: Save Site as Template Option Missing? Problem: "Save Site as Template" option missing in SharePoint Online! How to Enable Save Site as Template in SharePoint Online? To fix this problem, we need to enable custom scripts. Here is how to fix the save site as template not available issue. This enables save site as template link. However, this change may take up to 24 Hours to reflect. To enable scripting on a particular site collection immediately, use this PowerShell script in SharePoint Online Management Shell. Use this PowerShell script to immediately enable custom scripting. This brings it back save site as template option in SharePoint Online site collection. Please note, the change by PowerShell script can be overridden in the next 24 hours, If the settings don't match in SharePoint Online Admin center! So make sure you have same settings (either disable or enable) both in PowerShell and in SharePoint Online Admin center "Custom Script" section. Save as Template option is not supported for publishing sites and in sites with Publishing server infrastructure feature enabled!